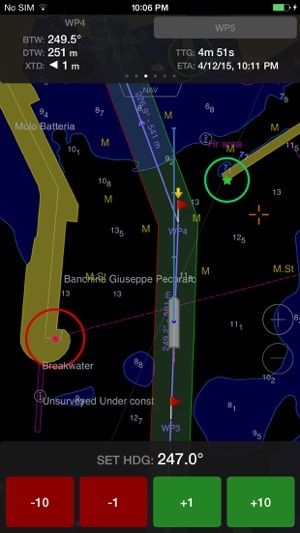 Wärtsilä iSailor is an easy-to-use marine and river navigation application for amateur seafarers. 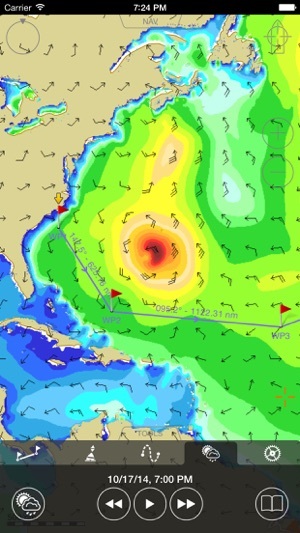 iSailor provides a clear presentation of navigational information, electronic charts and additional content. TX-97 vector charts supported by iSailor are recognized worldwide as one of the most accurate and reliable sources of navigational information. Chart folios can be purchased and downloaded in the iSailor Chart Store utilizing the standard iTunes Store payment/purchasing procedure. Chart correction service is provided on annual basis via the auto-renewable subscription service. iTunes will charge payment after confirmation of the chart correction purchase. You may manage your subscriptions and turn off the auto-renewal service in the Account Settings. Your subscription will automatically renew unless auto-renewal is turned off at least 24 hours before the end of the subscription period. You can cancel your subscription in the Chart Store any time. All previously purchased chart folios will remain available for you and can be restored from the service via the Chart Restore function. To receive subsequent chart corrections for your purchased charts, you will need to subscribe to the annual updates in the Chart Store. 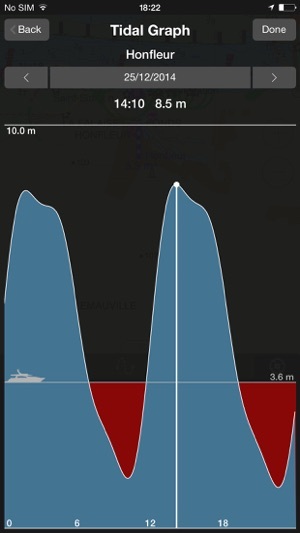 The application works on iPhone and iPad using built-in GPS, NMEA Wi-Fi GPS or an external Bluetooth GPS. • Route creation by the graphic and tabular methods. “Go To” routes. In this latest release, we are introducing a new annual subscription service. This means that all newly purchased chart folios will include a free correction service available to you all year round. Whenever you choose your next sailing destination and purchase the chart folio through the Chart Store, you will see the subscription end-date for your correction service under the folio name. Each time when a chart update is available, you will see a star notification and an update button in the Chart Store. Your subscription will automatically renew unless auto-renewal is turned off at least 24 hours before the end of the subscription period. You can cancel your subscription in the Chart Store any time. All previously purchased chart folios will remain available for you and can be restored from the service via the Chart Restore function. To receive subsequent chart corrections for your purchased charts, you will need to subscribe to the annual updates in the Chart Store. NOTE: App Store will charge payment after confirmation of the chart correction purchase. You may manage your subscriptions and turn off the auto-renewal service in the Account Settings. 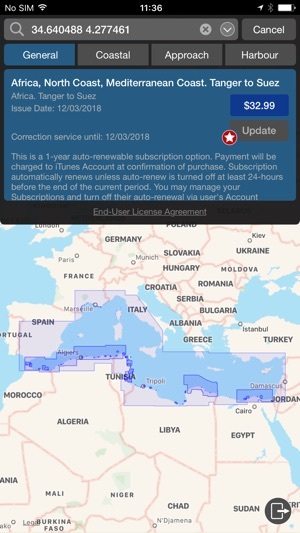 If you re-subscribe, your new subscription will be automatically updated at the current price unless you cancel chart update service before the subscription period ends in Settings -> iTunes & App Store -> Apple ID -> View Apple ID -> Account -> Subscriptions. We hope you enjoy this update and improved version of iSailor! Dear user, unfortunately, due to the changes in our licensing agreement with the Danish Hydrographic Office we are no longer allowed to provide chart updates for this chart folio without the subscription. It was made to enhance the safety of navigation. About the app, it is easy to use and is well made with a lot a features I cannot find in competitors apps. I tried nearly all the apps for iPad and this was the most complete. 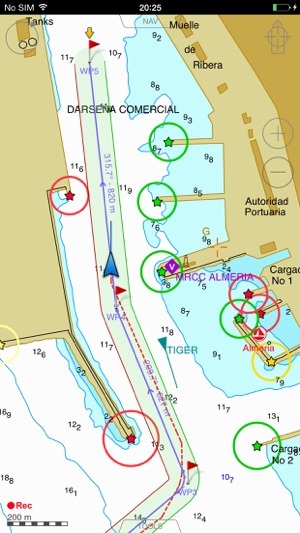 I wish however a bit more professional AIS target monitoring with possibility to visually display the CPA collision point. Also would be very nice to be able to personalize entirely the display, and display simultaneously depth, wind, and navigation data. And lastly, a service for aerial images overlay would be perfect (as in TZ iBoat). When you try it, it is hard to do without it. Er blevet opkøbt for at vride penge ud af brugerne. Fra at være en ok prisbillig alternativ til rigtige kortplottere, er det blevet en mega dyrt løsning. Og som det ikke er nok. Da de opdager kunderne flygter derfra hiver de et tilbud op af hatten “få første år gratis” hvis du har købt kort før 28 november. Det virkede lige til februar, så blev kortet igen ubrugeligt. Utroligt hvad man kan slippe afsted med. Mere uhæderlig firma skal man lede længe efter. Kan kun på det kraftigst fraråde denne app som er en stor gang svindel. Dear user, unfortunately, due to the changes in our licencing agreement with the Danish HO we are no longer allowed to provide free chart updates for this chart folio. Our agreement with the Danish Hydrographic Office has changed and under this agreement, there are no free chart updates for the charts they provide us with. The chart folio remains available to you and can be restored at any time. You can also update any other charts you have for free. We continue to provide free chart updates for all chart folios (except for folios from Danish HO due to our requirements with the HO) purchased before November 28th, 2018.